It's been almost two months since all the drama between Jordyn Woods, Kylie Jenner, Khloé Kardashian and Tristan Thompson began, but fans are wondering if a recently deleted Instagram post from Woods could be throwing shade at her ex-BFF. Woods posted a picture featuring her own glow in the dark manicure, captioned, "Girls be doin the most to show off their nail color" followed by a laughing emoji. Jenner has been known to post pictures of her elaborate manicures on her social media stories, so many assumed the caption was aimed to poke fun at the 21-year-old beauty mogul. Woods has since deleted the post, likely following an alleged stream of comments coming in accusing her of making fun of Kylie. While it is unclear whether the post was intended to be poking fun at Jenner or herself, Woods was quick to remove it. 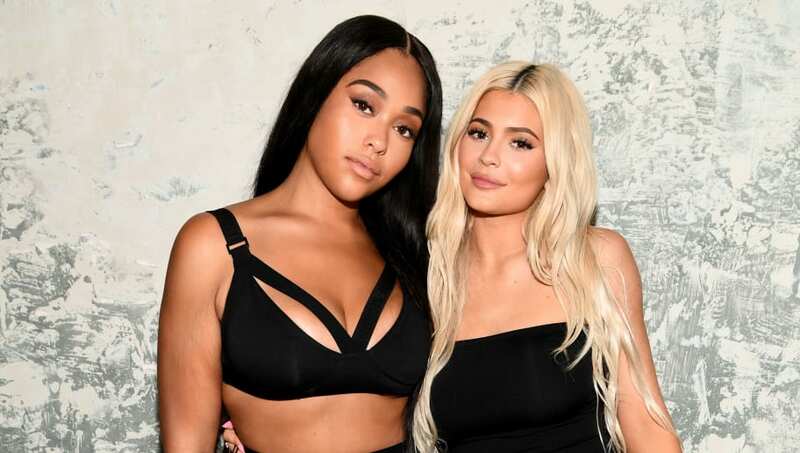 Jordyn Woods is not so friendly with Kylie Jenner anymore! The former friend of the Makeup Mogul shaded her big time by calling her out for showing off her nails! The whole ordeal between the two began following cheating accusations against Tristan Thompson, Khloé Kardashian's ex boyfriend and the father of her daughter True, when he allegedly kissed Woods at his home. The ordeal sparked a major feud, unsurprisingly, which seems to have effectively hurt the once-BFFs' friendship. We'll have to continue keeping up with the family to see if any other shading occurs.